Changes in family life can be challenging. Catherine Pavur has been practicing family law for over 18 years and has the experience to help you, whether your case involves dividing property and debts, child custody, child support, alimony or any other family law issue. Catherine is committed to your best interest and to helping you find resolution, whether through an agreement, through mediation or by representing you in court. 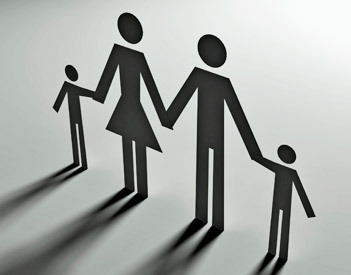 Family law includes a broad range of issues covering marriage, separation, divorce, equitable distribution (property division), child custody, child support, alimony, postseparation support, grandparents’ rights, guardianships, parental rights, premarital agreements and separation agreements. Catherine will help you understand your rights and how the law applies to your situation so you can make informed decisions about how you want to move forward. Every divorce and family law case is unique. Catherine’s goal is to help you find the best possible outcome for your situation, while making the process understandable and as easy on you as possible.